Do you love spreading joy? Do you love sending and receiving mail? 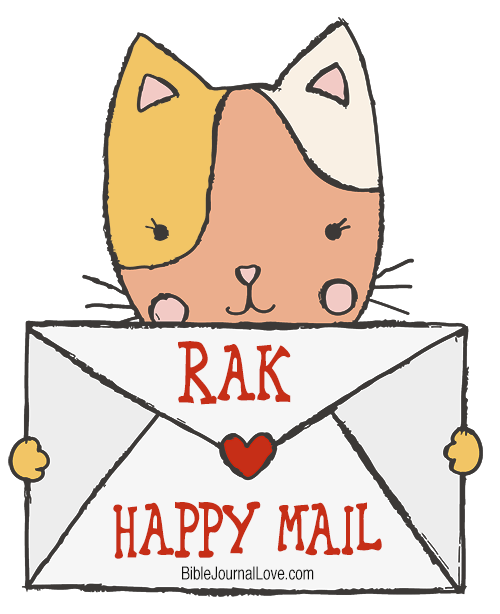 Then join our Happy Mail Swap! What is Happy Mail? There are lots of fun Happy Mail Swaps (Planners, Scrapbookers, Project Lifers, etc. ) This will be a Bible Journaling Happy Mail. If you have any doubt that that you can follow the rules. Please do not join in the monthly swaps. Send a private Facebook Message to Donna Castanon (you must be active member of the group for one month). Donna will approve those who are active members and send you a special link where you subscribe to a special Happy Mail list (becasue you are so special). Once you subscribe (with full snail mail address) to the Happy Mail list you remain subscribed until you unsubscribe. Confirm you have read the rules by clicking the link in the email. If you do not confirm the email you will not be included (check your spam for the email). You will remain on the list unless you opt out from the email unsubscribe button. You can choose to be remove for a few months and come back if needed. 30th or 31st: You must join and be confirmed by the 30 or 31st of the month to be included in that month. 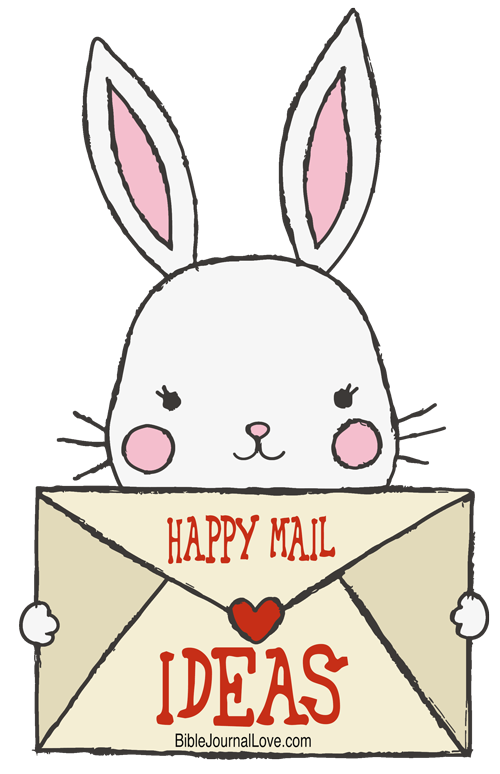 1st: You will receive addresses for this month’s Happy Mail partner. You will receive a new partner every month. 25th: Happy Mail needs to be shipped by the 25th of the month. Send things from your Bible journaling stash ($10 maximum, see samples below). You will be matched by Country. USA mails USA swap. You will receive a new swap partner each month. You can private message your Swapper when you receive their email. This is one suggestion: Create a pocket letter. Fill all the pockets of a 9 Pocket Page Protector (also called a baseball card holder) you can pick up at any craft store or Walmart. Fill the pockets with stickers, treats, and sample of washi tape. Never send paper scraps of any kind, torn, or dirty items. See videos at the end of this post for ideas. Something you would like to receive. At this time $10 maximum is the rule. Try to send something that would cost around $10. In other words, do not send a $1 pack of stickers to receive $10 in items. Some ladies put a lot of time and effort into sending something nice. It’s only fair they receive something similar in return. Unsubscribe from the Happy Mail email list to quit the group. If you just need a break for a few months unsubscribe and then sign up again later. Break the rules and you will be removed. You have one chance to follow the rules, then we take you off the list. Most of us have accumulated a ton of adorable stash items we have not used. This is the time to put it to use. Those who have extra supplies and would like to share we are gathering a list of ladies in our Facebook Group that would like to join in Happy Mail Swap but can’t afford to at this time. Ask on the Facebook group if you would like to bless someone. Swappers are responsible for swapping items. Items sent are as a gift. There is no guarantee you will like what you receive or that will be of the same value of the items you shipped. This is a friendly swap. BibleJournalLove is not responsible for any mail items.